How do we know these were Mozart's instruments? Like everything else in the violin world, it's an educated guess. 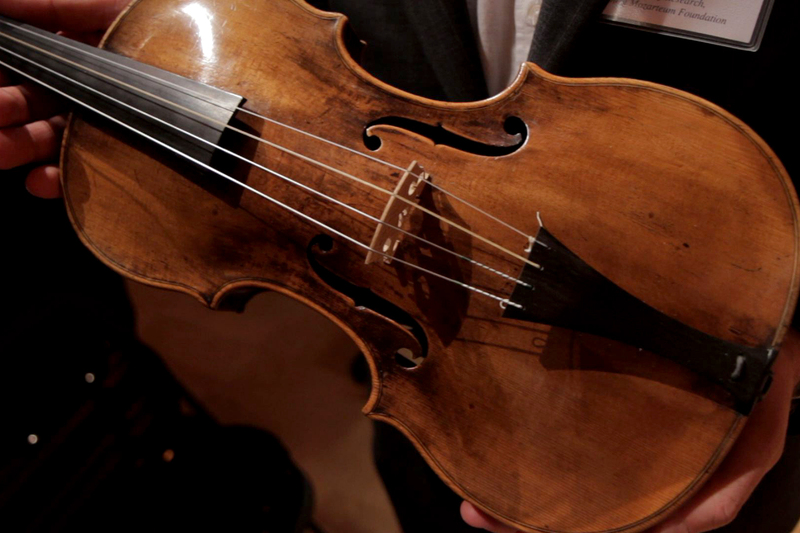 Mozart left his violin behind in Salzburg in 1781 when he moved to Vienna. Mozart's sister owned the violin until 1820. Each owner after that knew it as "Mozart's violin". The same sort of story goes for Mozart's viola; he left it to his widow, who had the instrument until around 1810. The Mozarteum acquired the violin in 1955 and the viola in 1966. These instruments give us a good idea of what sound Mozart himself had in mind when writing, let's say, his violin concertos and Sinfonia Concertante. There were no loud, romantic sounds: Everything was incredibly intimate. For one, because the instruments were small and strung with gut strings, and for two, Mozart would not have played in large halls, ironically, where many performances of his music are being played today. Actually, Mozart refused to perform on his violin in public at all, which might have been due to his not practicing the instrument, which his dad scolded him in letters for. He premiered his Sinfonia Concertante on viola. These instruments get us much closer to hearing what Mozart himself had in his head when he was composing, though until somebody invents a time machine, that's about as far as we are going to get. Maybe a working flux capacitor is somewhere in the near future, but for now, here's a recording of David Fulmer playing.